These are a couple of lures made by a gentleman from SA. He has been experimenting for a while & although he only does them for himself & some mates to fish, I reckon they are brilliant & I don`t think I really want to risk losing these gems. I do however know someone that will . siegfried wrote: I really want to risk losing these gems. I do however know someone that will . Here's another one from this young man who shall remain nameless at this stage. It must have heard I was going fishing over the weekend and decided to hitch-hiked a lift to the river. 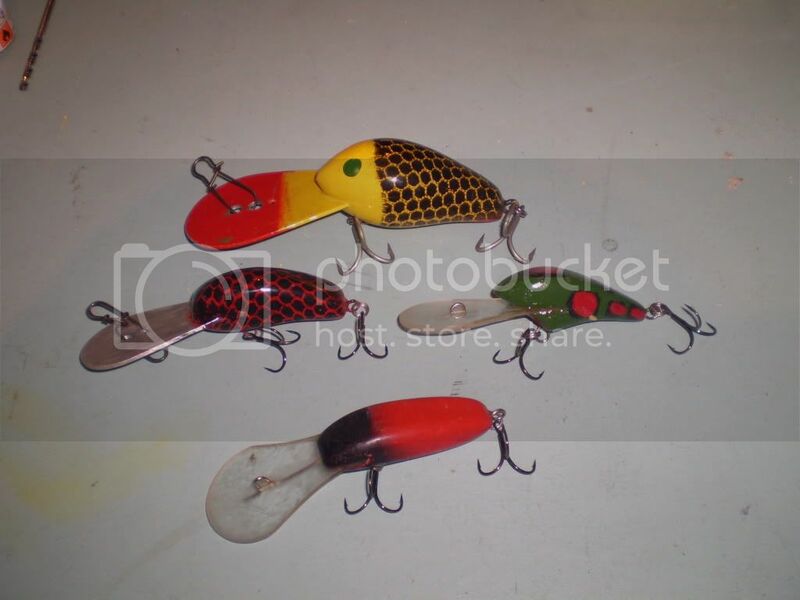 Rupe wrote: nice lures ziggy, are these made by our good friend the sniper? Goodoo wrote: Maybe thats what he should call them, Sniper Lures.They look like they'd work alright. Goodoo, great name & your right the larger of the two I`ve got swims great, haven`t had the other one wet yet but I`d gaurantee it has had extensive testing prior to release. Like yourself, our sniper is a very thorough man. The Chief wrote: It must have heard I was going fishing over the weekend and decided to hitch-hiked a lift to the river. Chief, that frog is top piece of work & I guess he`ll get to taste the Murray on the weekend. Getting too predictable old timer. Very very nice! so who is this mr sniper! thanks guys, it still is a learning curve for me with every batch being different. Painting and clear now is the next hurdle, but slowly getting there. I can think I've seen that green and red one before ? That's right I caught it at Glenbawn.